Some peppermint oil uses include it's ability to treat nausea, indigestion, chest congestion, stress relief, headaches, bowel disorders, and stomach pain. But, it is often used in massage therapy to relax the mind as well as tight, tension-filled muscles. Because it contains menthol, menthone, and menthyl esters, peppermint oil has been known for centuries as a healing, medicinal herb. It is found in many everyday products used in our homes, like soap, shampoo, toothpaste, chewing gum, tea and ice cream. Indigestion - Many use a few drops of peppermint oil in a glass of water to relieve the pain of indigestion. It is well known for it's ability to calm a gas filled-stomach, as well as help with motion sickness and stomach cramps. Chest congestion - Because of it's high content of menthol, this is an oil often used for respiratory problems. It is a natural expectorant, and provides relief of nasal problems, chest congestion, sinusitis, bronchitis, and many other breathing illnesses. 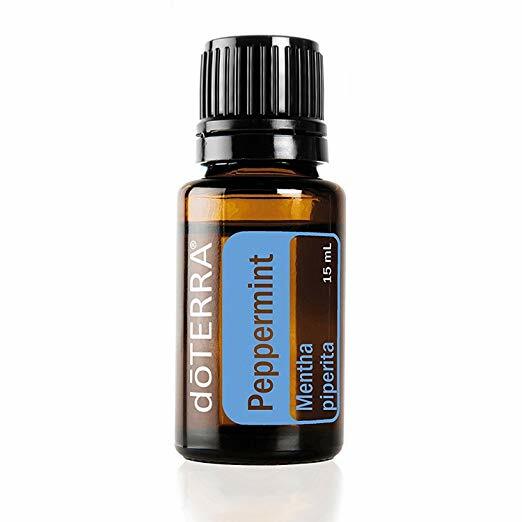 Stress - Like many pure essential oils, peppermint provides stress relief to the mind, and also the body. When used in a carrier oil, peppermint oil calms tired, overworked muscles. It can be placed on a wash cloth, and inhaled for an instant calming of the nervous system. Pain Relief - Because of a high amount of calcium antagonism, peppermint oil is known for it's ability to instantly cool areas of pain. It is often used for headache, fever, muscle spasms, pulled muscles, and migraines. Many also use peppermint oil to help remove head lice and dandruff. It has also been known to help with oily skin problems like acne. Spa uses for peppermint oil in hand and foot massage treatments provide a refreshing, cooling effect, and revitalize the muscles of the arms and legs. Many therapists also use it with clients who are experiencing congestion and sinus issues. Because it contains many nutrients and minerals, like magnesium, calcium, iron, potassium and copper, peppermint oil capsules and tablets are now being sold as supplements. Peppermint Essential Oil is one of the highest rated oils for massage therapy and aromatherapy treatments. Natural Healthy Concepts- offers more awesome uses and benefits of this oil, as well as others! New peppermint oil uses are reported all the time, but using it to relax and provide luxurious spa treatments will always be it's primary use in the therapeutic massage and bodywork setting.